AP DEECET- 2018 Web Counseling Phase 1 Payment options & Web options at apdeecet.apcfss.in/How to Get AP DEECER-2018 Web Counselling Payement Option/Web Options Step by Step Process/AP Diploma in Elementary Education DIETCETDIDEECET Phase 1 Counselling web based options payment method How to Get AP DEECER-2018 Web Counselling Payement Option/Web Options Step by Step Process at apdeecet.apcfss.in/AP DIETCET- 2018 Web Counseling Phase-I Payment options & Web options at apdeecet.apcfss.in/AP DEECET/DIETCET- 2018 Web Counseling Payment options & Web options at apdeecet.apcfss.in/AP Diploma in Elementary Education DEECET-2018 Phase-1 Web Counseling Payment Web options at apdeecet.apcfss.in. 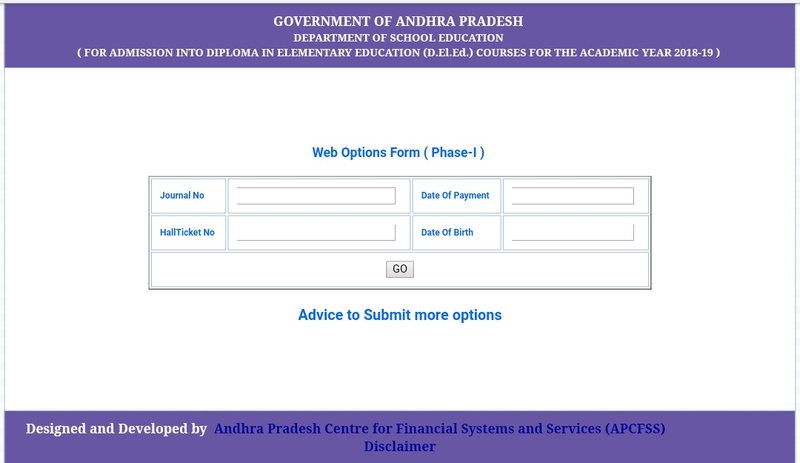 Get Select Seqvence of web options select colleges list finaly submited your web options. 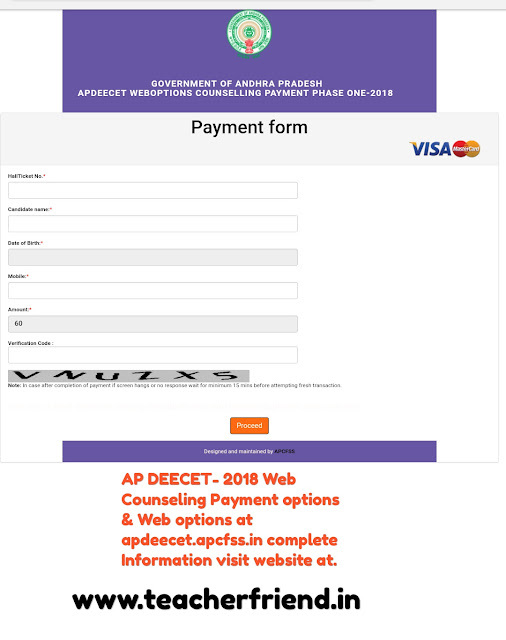 Submission of 1st Phase Counselling AP DEECET web Counseling Payment options & Web Options by Candidate starts from 25th july 2018. DEECET 2018 Private/Govt College List Click Here. Get Download DEECET User Manual Guideline Click Here.